Elisabeth cast aluminum 9 piece dining set with 84" rectangle table. 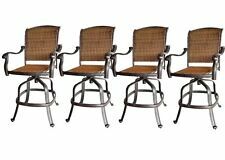 Patio bar set Elisabeth outdoor furniture 5pc 1 table and 4 swivel bar stool's. 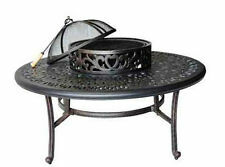 Bar height fire pit dining table 9 piece set cast aluminum patio furniture. 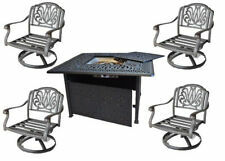 Propane fire pit table 7 pc Nassau patio dining set outdoor aluminum grills. 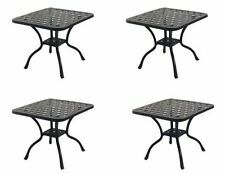 5 piece outdoor dining set cast aluminum outdoor furniture round table 4 chairs.